WHEN BETTE MET MAE is now available to rent or own! The DVD can be purchased at your favorite online DVD retailer. Or download/stream the film on your favorite video service! 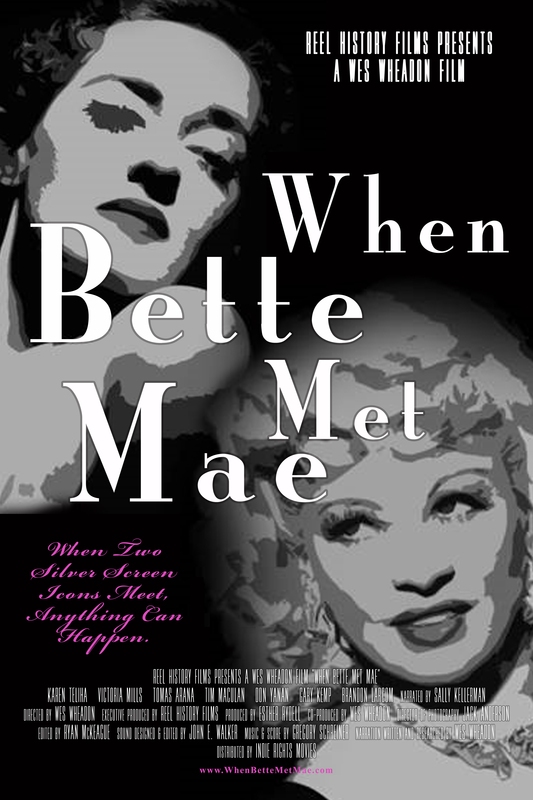 WHEN BETTE MET MAE documents the first meeting of two legendary film icons, Bette Davis and Mae West, occurring in 1973. An audio tape of that evening’s conversation becomes the dubbed soundtrack for a documentary film featuring actors who recreate that meeting. The contributions these women made to film history unfold as they discuss their lives, loves, family and public image. Full of humor, repartee, previously unrevealed facts and fun, witness the meeting of these two great actresses as a guest in the room. What did they say? How did they get along? What were they like? For a preview, watch the trailer! Be the first to learn about upcoming screenings and how to own your own copy of the film.